Felipe Massa believes Carlos Sainz deserved a harsher penalty for triggering their crash in Canada, insisting the Spaniard's move was no different to the manoeuvre that earned Romain Grosjean a race ban in 2012. Massa was taken out by Sainz on entry into Turn 3 on the opening lap of the Montreal race, the Toro Rosso driver having lost control after contact with Haas driver Grosjean in the preceding corner. 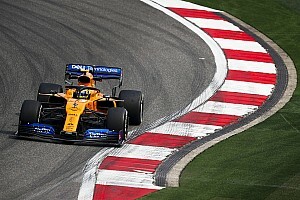 The incident earned Sainz a three-place grid penalty, despite his insistence that the Frenchman had been in the blind spot of his rear-view mirror. 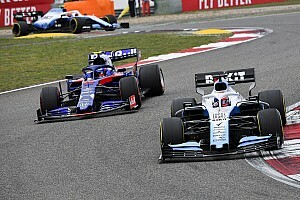 But Massa reckons Sainz was let off easy, as the Williams driver evoked Grosjean's accident in the 2012 Belgian Grand Prix – in which the Frenchman cut across Lewis Hamilton and triggered a pile-up, taking Hamilton, Fernando Alonso and Sergio Perez out of the race. 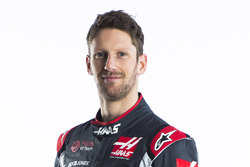 Grosjean was handed a race ban in the aftermath, and Massa reckons the FIA stewards should have been "strong as well" in deciding Sainz's punishment. "When I saw [a replay of the crash], I saw that he [Sainz] started it, which is a shame. Because I don't think it was so different, what he did, compared to what Grosjean did, and he [Sainz] only lost three places at the start. "This is something that I remember before, when Grosjean was doing in a bit dangerous manoeuvres so they put him one race at home. But now I think maybe they need to be strong as well. "Fortunately nothing happened [in Canada] but it could have been like a big accident. And I think if we had a big accident, the result would have been different, which is not correct. 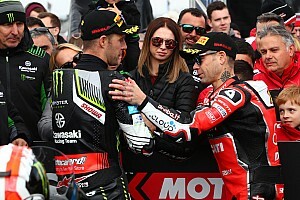 "We saw so many people losing three places [on the grid] by doing a very little thing - and then you are doing a lot more dangerous thing and you have three places. It's inconsistent." In regards to Sainz's argument that the crash was down to a larger problem with rear-view mirrors in 2017, Massa said: "Mirrors is a problem and, if you don't see, then you need to change. 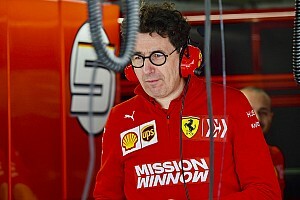 "I think the FIA needs to do an investigation and if somebody is not seeing the right way, they cannot race with these mirrors, they need to change the mirrors. The mirrors is something [important] for the safety as well." Steiner: Sainz "hurting his reputation"
Gunther Steiner, Romain Grosjean's team boss at Haas, criticised Sainz's "dull" mirrors argument in the aftermath of the Canada GP weekend - in which the Spaniard had picked up a reprimand for a near-miss with Grosjean's teammate Kevin Magnussen on Friday before twice moving over on the Frenchman at the start of the race, which resulted in the crash. Two weeks on, Steiner has now added that Sainz's repeated rules infringements were "hurting his reputation". 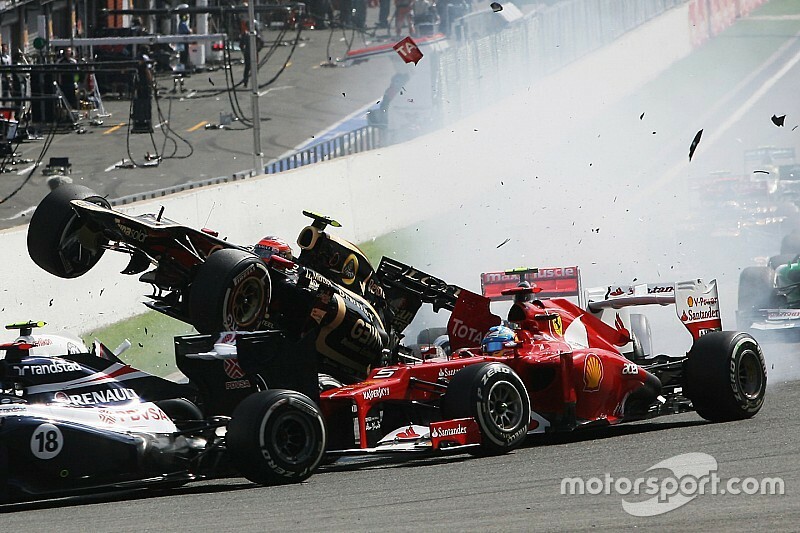 "I think he should know better, he is a better driver than that to do this in my opinion," Steiner said that. "I was quite disappointed about his moves in Canada, what he did [on Friday], he couldn't see Magnussen coming, he got a reprimand and no points on license. It was the same with us with [Esteban] Gutierrez last year and we got five places of grid penalty for a very similar incident. "[Sainz] got away well there and for me there is a point in saying he does the same thing in the race, he knows he doesn't see in his mirrors, that is what he says twice. "To run into [Grosjean] once and then go back and run into him a second time was, like, come on. 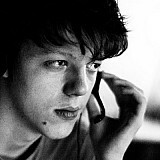 "I don't think he needs to have this behaviour because he is better than that as a driver, he is a good driver. This is hurting his reputation because people think about this. "If you do it once, it is fine, but if you keep on doing it, it is like - 'is he actually not as good as I think he is', you know."